Born in 1959 in Washington, DC, Ricardo Thornton was placed in an institution by his family, a common practice at the time for children with disabilities of any kind. Finding sports at an early age helped build his confidence and he began competing in Special Olympics events across the country. Ricardo met his future wife Donna while in the institution and together petitioned the DC government to allow them to marry and move into an apartment of their own. Defying the odds, they went on to have a child, successful careers and Ricardo continues to compete in Special Olympics. 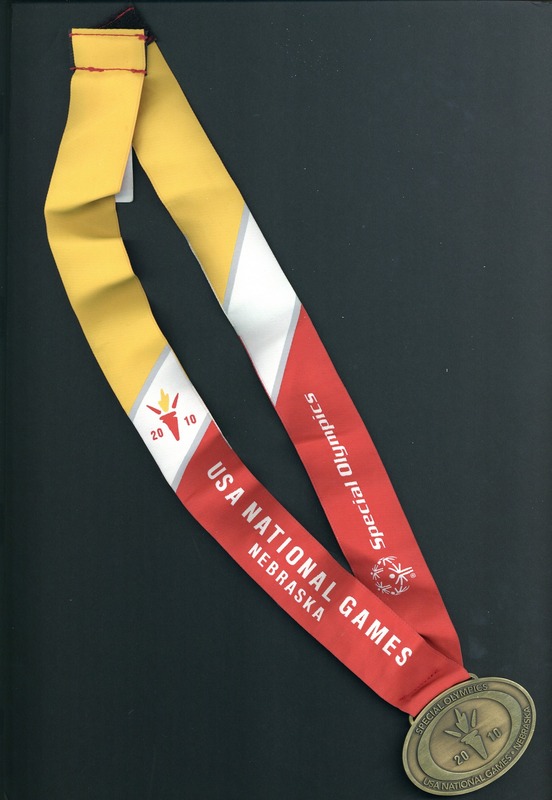 Thornton wore this jersey during a race with Special Olympics DC and won this medal at the USA National Games in Lincoln, Nebraska, in 2010.